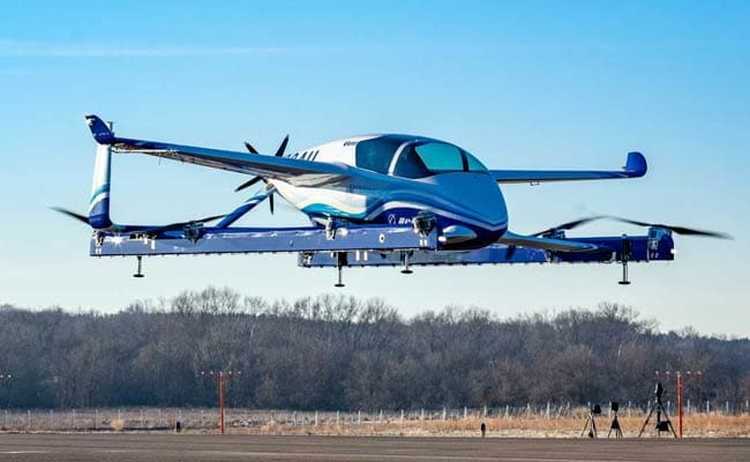 During a test flight, the flying car prototype hovered in the air briefly, said Boeing on Wednesday. This was a small yet a significant step as world’s largest planemaker commands to revolutionize the parcel delivery services and urban transport. The vehicle Boeing is planning to introduce is small self-flying vehicle able to do vertical take-off and landing. Boeing is competing with many firms including arch-rival Airbus by attempting to do so. Boeing’s aircraft is a part drone, part helicopter, part fixed-wing plane and is 9m (30 feet long). This aircraft was tested at an airport in Manassas, Virginia on Tuesday. It lifted a few meters off ground and after less than a minute of its flight, made a smooth landing, Boeing said. The flights to be held in future will be forward and wing-borne. The investments, fuelled by the leaps in autonomous technology as much as the frustration with road congestion, can change the face of the aerospace industry within the next decade. Sorting out a variety of critical safety and regulatory issues to blend the traditional roadway traffic with the fleets of flying cars are the major hurdles to the Boeing’s vision of “low-stress” mobility. For the development of the traffic management system for the three-dimensional highways and the regulatory framework, Boeing is working with the US Federal Aviation Administration and Spark Cognition. This will allow the waves of autonomous vehicles to move safely around the buildings, as said by the company. To speed up the development of the fleet of autonomous air vehicles, Boeing bought the Manassas-based Aurora Flight Sciences last year. Also, Boeing is working on Uber Technologies’ UberAir service. This service is meant to be available around 2023 for the flights that are planned to be available for order through smartphones. Boeing is aiming to achieve the range of 80km with variants of two flying cars capable of carrying two and four passengers each. Boeing is also planning to test a package-hauling version, that can lift up to 226kg, later this year.